What is the sequins on the clothes? Your here： Notice » What is the sequins on the clothes? What is the sequins on the clothes or shoes or bags or caps? On narrow sense,it is PVC sew on round nailhead(PVC nailhead by computerized embroidery) or iron on laser hole PVC nailhead. In the boarder sense,it is hot fix rhinestone,hot fix rhinestud,hot fix aluminum nailhead etc.,a design which with any of these materials is hot fix motif. 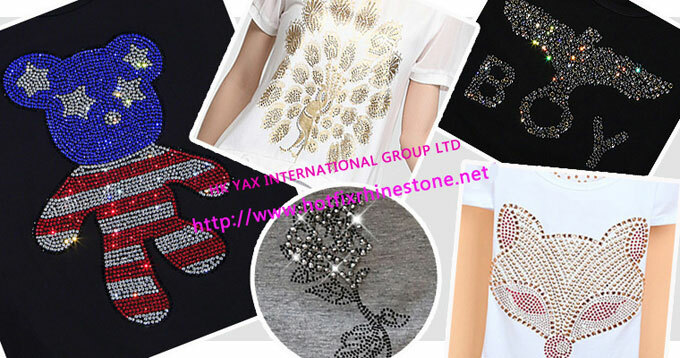 In the boarder sense,it is transfer crystal strass rhinestone,iron on rhinestud,iron on aluminum nailhead etc.,a design which with any of these materials is hot fix motif.